C.A. 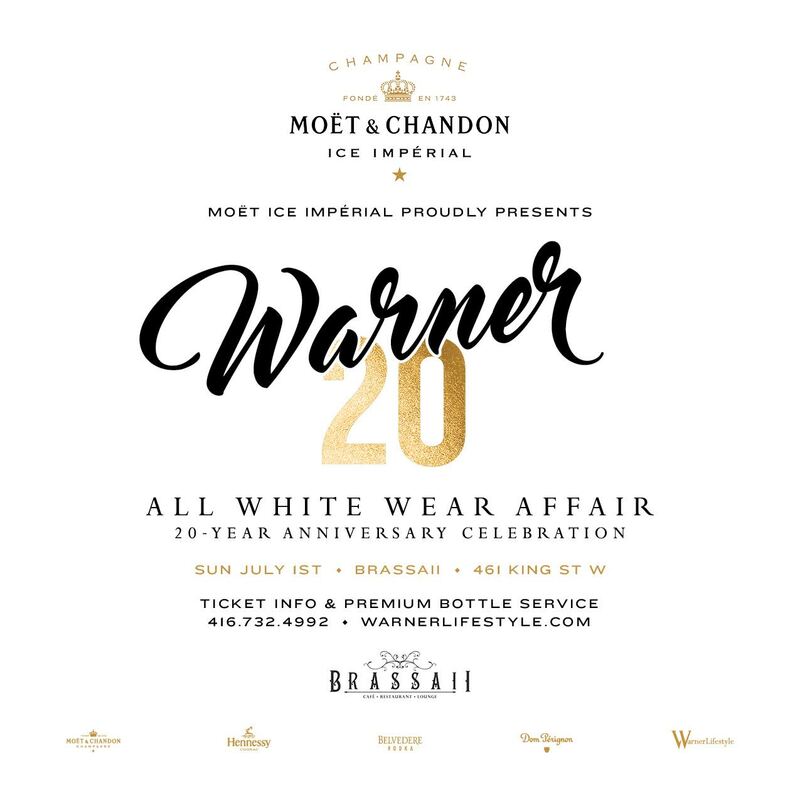 Confidential: Mr. Warner's All White Wear Affair / 20-Year Anniversary Celebration @ Brassaii, Toronto,ON - Sun July 1st! Mr. Warner's All White Wear Affair / 20-Year Anniversary Celebration @ Brassaii, Toronto,ON - Sun July 1st! IT'S UNBELIEVABLE HOW FAST TIME FLIES! MOËT ICE IMPÉRIAL CORDIALLY INVITES YOU TO BE A PART OF SOMETHING BIG! BOOTHS CAN BE SECURED AT A 2 BOTTLE MINIMUM PURCHASE PENDING AVAILABILITY. $30 ADVANCE TICKETS ON SALE NOW. VISIT HERE FOR EXCLUSIVE TICKET INFO AND EVENT DETAILS INCLUDING “TOP-SHELF” VIP BOTTLE SERVICE.